In his session in the upcoming People Matters L&D Annual Conference 2018, Kimo Kippen, Former Chief Learning Officer, Hilton will share how L&D leaders can shift the conversation to lifelong learning. As the world transforms faster than ever before, and technology changes the way we work as well as the kind of work we are doing, we need the skills to retrain again and again to be able to survive. As per LinkedIn’s 2017 Workplace Learning Report, the average shelf life of skills is less than five years. Contrast with the fact that most workers now face a 60-70 year long work life spanning across multiple jobs and careers. Thus to stay relevant, employees must always be learning. Big corporations, too, acknowledge the importance of harnessing the potential of workers at all stages of their careers. So how can organizations design their L&D process to foster lifelong learning to thrive? This is what the People Matters L&D Annual Conference 2018 aims to answer. The conference which is returning to Mumbai this October as part of the 2018 People Matters event series aims to bring the best and the latest in the sphere of learning and development. The theme of this year’s conference is ‘Reflect. Respond. Repeat’ which depicts the perfect learning cycle in today’s rapid pace of the world. And this is true for both individuals and organizations. To enable and empower leaders to build the right learning ecosystem and spearhead the capability building agenda at their organizations, the conference aims to bring the latest trends, innovations and best practices all under one roof. The event will address the most poignant L&D challenges- what is the future for learning & development? How can you enable your L&D teams to fuel the next frontier of growth? What are the biggest dilemmas of learning leaders of the world? What are the several hats that an L&D leader can wear? What is the role of technological interventions in enabling learning? Is L&D adapting to the needs of millennials? What are organizations doing to draw the best talent to their organizations? 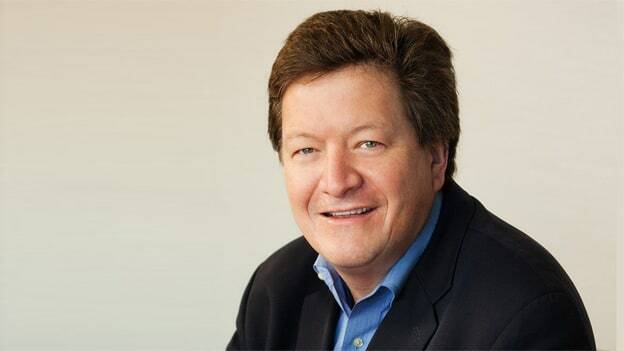 One of the highlights of the event will be the keynote session spearheaded by Kimo Kippen, Former Chief Learning Officer, Hilton and founder Aloha Learning Advisors. For the past 20 years, Kimo has been on a lifetime journey to advance education, global labor force conditions, and economic empowerment internationally. In his past role as Chief Learning Officer at Hilton, he transformed the learning and development culture, improving the company’s guest scores, brand loyalty and global market foothold. Aloha Advisors offers advisory services in Lifelong Learning, Talent Management, and Workforce Development to organizations striving to build or expand their learning and talent development capabilities. In his session, ‘Designing L&D for Lifelong Learning’, Kimo will share insights on how advances in artificial intelligence and robotics which are disrupting the workplace will impact the way learning will happen at the workplace. For workers of the future, the ability to adapt their skills to the changing needs of the workplace will be critical. How do L&D leaders shift the conversation to lifelong learning? How are schools and institutes reading themselves for this new trend? How can learning happen differently in this new paradigm? Talking to People Matters about his session, Kimo stated, "Talent development is at the nexus of change. The competition to attract and retain top talent is heating up as we head into a future with low unemployment and rapidly changing technology. The supply of talent is getting smaller, the skills your company needs are getting more specific and the speed or change is accelerating. You can no longer rely on traditional academia to fully prepare employees for their entire career. This session will explore better ways to build and screen for competency through the use of mobile, on-demand training and credentialing. It will also cover retention strategies to help employees embrace lifelong learning and case studies of cutting-edge companies who are rethinking talent development." Attendees will learn how stackable credentials can help you identify and evaluate transferrable skills when hiring, the importance of creating customizable learning paths for your employees, and how to effectively retain employees by fostering lifelong learning. In addition, Kimo will also conduct a masterclass on ‘Lessons in leadership from around the world’. In addition to Kimo’s session, over the course of the day, delegates will also hear from CEOs and CHROs from a variety of business sectors and industries on what’s the latest in L&D to spearhead the organizational capability building agenda, create a nimble learning ecosystem and fulfill the heightened expectations.